Eyes Armchair embraces the sitter with open arms and is the latest addition to the Eyes chair family from the designers Foersom & Hiort-Lorenzen. Eyes Armchair has small armrests, giving the chair another human dimension. Eyes Armchair is moulded furniture elegance with unique upholstery work, which enhances the craftsmanship behind the design of the chair. Eyes Armchair also has the distinctive two buttons in the back of the chair, which are characteristic of the Eyes collection. The legs are in oak and, just as with the other chairs in the collection, they have been made more round to match the organic expression of the chairs. 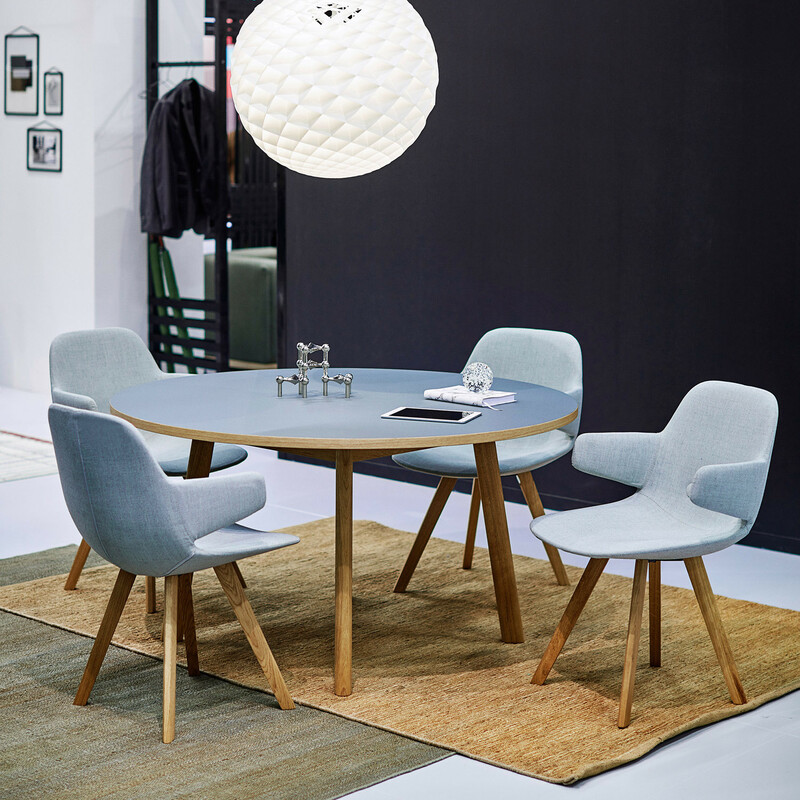 The wood adds a sense of warmth to a meeting room, living room or dining room. Just like the other chairs in the Eyes collection, it is possible to choose a steel frame. 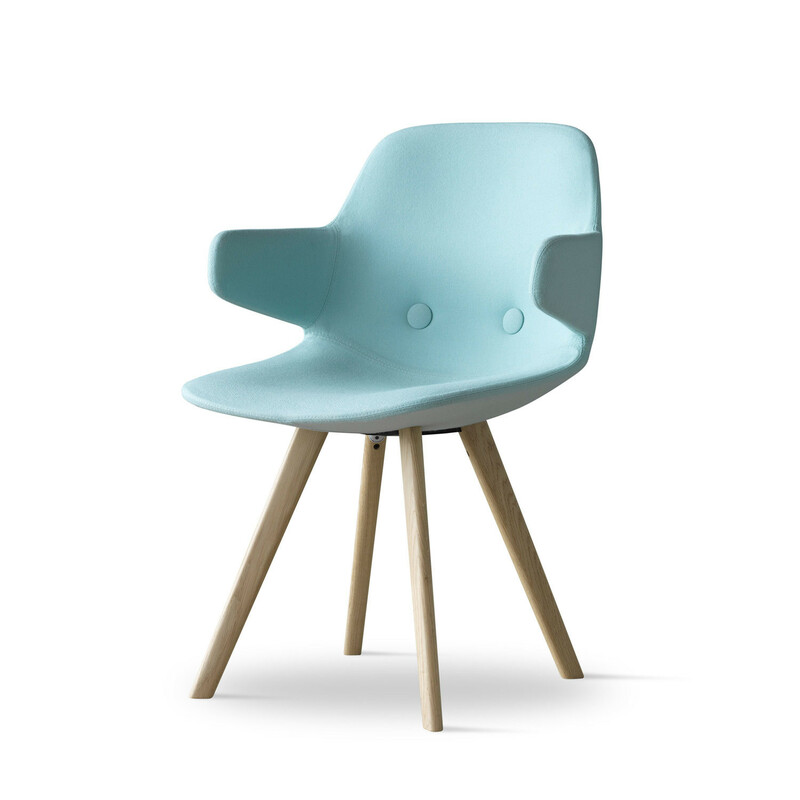 The look of the chair can also be changed by the choice of legs, textile, leather, colour and buttons. You are requesting a price for the "Eyes Armchair"
To create a new project and add "Eyes Armchair" to it please click the button below. To add "Eyes Armchair" to an existing project please select below.